New South Botanical’s mission is to create products and a brand synonymous with delicious, safe, effective and convenient cannabinoid extract infused delivery systems. 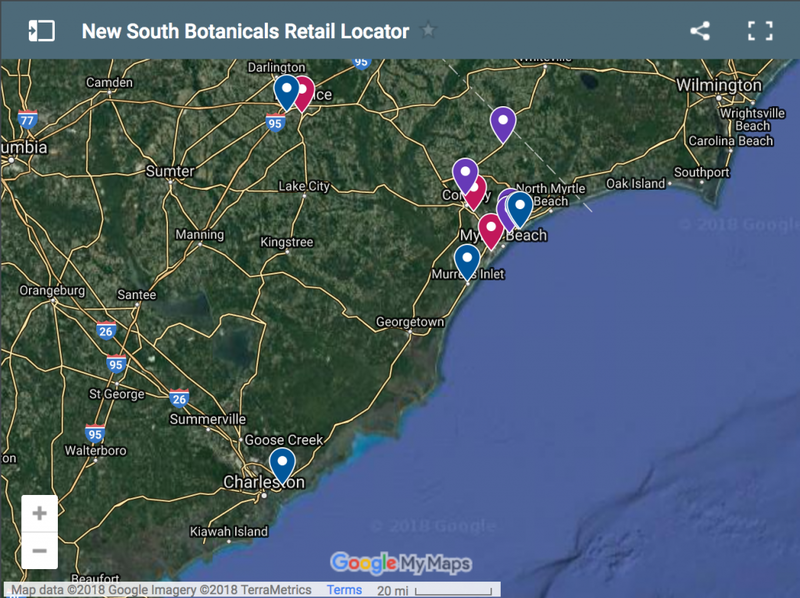 Thanks to our retail partners, you can now find our Cannabidiol (CBD) products in stores in the Myrtle Beach, Florence and Charleston areas of South Carolina. Want to carry our products in your store(s)? Give us a shout and we’ll make it happen! Do you already carry our products and don’t see your store one this map? Let us know and we’d be happy to update it.